Skating is by far the most important hockey fundamental. Everything stems from your ability to move on your feet. You should feel as comfortable in your skates as you do in your tennis shoes. That means learning how to use your edges to balance and help you move effectively on the rink. What are your skating strengths? What can you do to improve them? 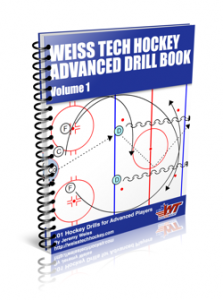 There are many things you can do off-rink to help create new patterns of movement on the rink. Think in terms of strength/balance and speed/movement. Special Thanks to IHD Partner Peter Dale at Farm Tough Companies for allowing the use of this content.